I was at San Japan last Friday to take photos, and I ended up not cosplaying. It’s easier to do photoshoots out of costume ^^;; You can see previews from each photoshoot on my Flickr! View San Japan Flickr gallery. I bought circle lens for my first time ever! Since Haku has green eyes, I decided to give them a try. 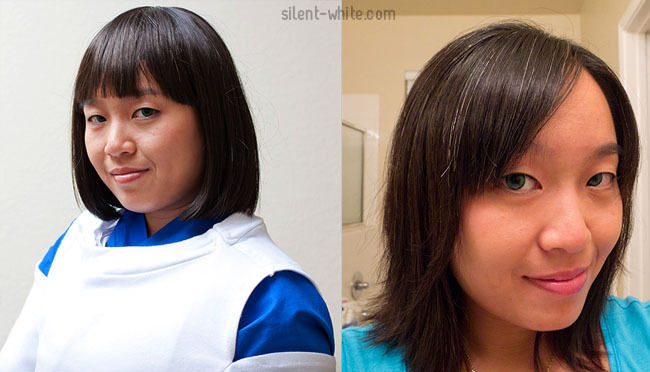 The left photo is in costume with flash. The right photo is in (bad) indoor lighting. I think I like the Apple Green one more. I like the thicker outline and the subtle color. It’s hard to tell in those photos, but the Sunflower Green is really green. 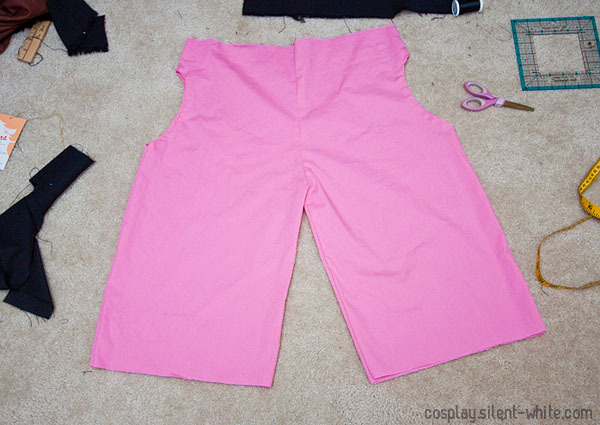 I started on her pants, which actually just uses the same pattern I used for Haku. I must have done something wrong though. The crotch is… off. I also haven’t put the draw strings on the bottom or the elastic band on the waist yet. I think our Spirited Away group is a no-go for AnimeFest, mainly because I don’t think I can finish both Chihiro and No Face in time. 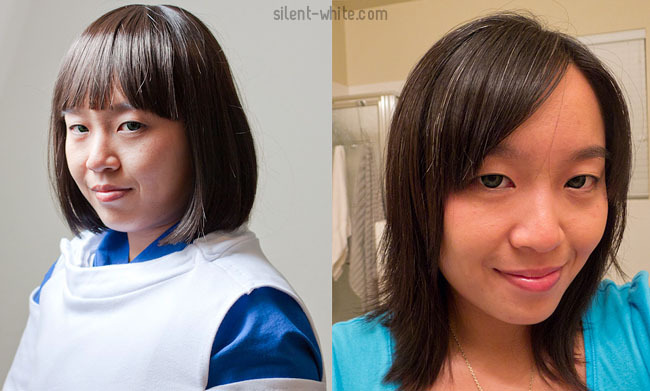 Plus, after wearing my Haku costume, I’ve noticed a few things I want to change and fix up.